Sapta Spa is a space for your soul. Rediscover the lost harmony between your tired body, your stressed mind and your soul here at Sapta Spa. This is just the place to bid adieu to muscle tightness, fatigue, stress and all such problems. At Sapta Spa, they offer a wide range of massages, wellness services and therapeutic treatments that are aimed at healing your mind and body. Here, the masseurs are skilled and the ambience itself has healing effect on you. 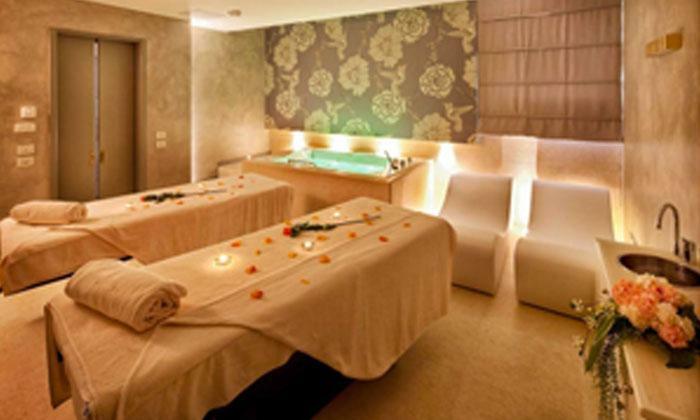 Relaxation is the key here and all their efforts are dedicated towards helping you feel rejuvenated from within. So let your body get that much needed break and find your inner peace at Sapta Spa.